Home » Blog » Electronic Cigarettes: Are They Bad for Your Oral Health? 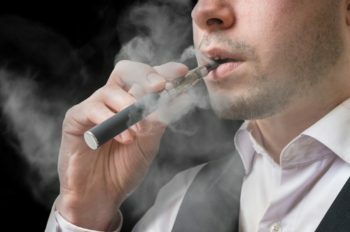 Whether you call it vaping, smoking e-cigs, or something else, the fact remains that there’s been a widespread increase in electronic cigarette use. At my Warsaw dental office, we’re always concerned with the oral health and overall health of our patients. While we know smoking cigarettes increases the risk for oral cancer and other serious problems, we wanted to know more about the risks of e-cigarettes. Whether this is the first or seventh time you’ve tried to stop smoking, don’t give up. In the meantime, make sure you keep appointments with your Warsaw dentist so that if any oral health problems do arise, they can be caught and treated early.